The dead don’t tell secrets… unless you listen. As local reporter, Tracy Frost, disappears, the stakes are raised. The past seems to hold the key to the killer’s secrets – but can Kim uncover the truth before a twisted, damaged mind claims another victim…? When I got the chance last week to listen to an audiobook from Bookouture was this the one I picked. I have read all the previous books and I do have an ARC of it, but I've been trying to listen to audiobooks at work since I will be working all summer long. 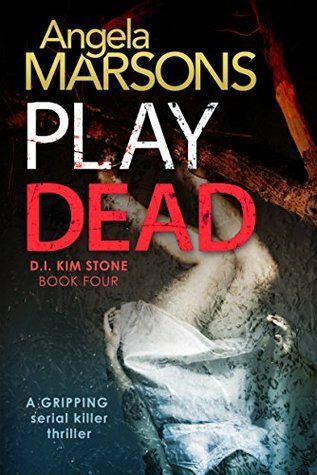 So, I thought this would be perfect, getting to the latest book in the Kim Stone series and also get a book read/listen to from my NetGalley pile. It's a win-win situation! This book actually took me by surprise. 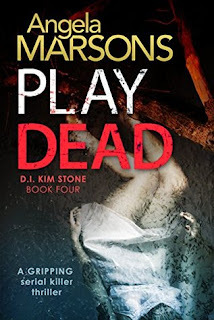 I have, to be honest, had a bit of a problem with Kim Stone, her attitude has rubbed me the wrong way many times during the previous three books, but I never had a problem with her listening to this book. I can't figure out of it was the narrator that made me like her more or the story. In this book, well I started to warm up to her. It could be that Jan Cramer, the narrator of the book somehow conveyed Kim in a way that made me feel less annoyed and more understanding. But, I also think that Kim is starting to, if not breaking down her walls, letting people a bit closer? Or perhaps one could say that Barney, her dog, is the one that has made her more "human". In any way, I came to like her very much and I liked her passion for justice for those that had died in this book. Anyway, I will not spoil the story in the book, but I want to say that the book hooked from the first second and then kept my interest all the way through a couple of working days. To be honest, I looked forward to working so that I could listen to more of the book and I was even tempted to skip breakfast with my colleagues to listen more today. The case was tragic and intense to listen to and I can't say that I figure it all out, some things I suspected and I was right, but I was also surprised at the ending of the book. It was such a thrilling book that I could do nothing but award it with the highest rating. I was never disappointed with the story, oh well one thing and that concern Daniel Bate and Kim. I enjoyed their banter throughout the book so much that I had to try hard to not smile as a fool at work and scare the workers there and I hope that Daniel will be back in future books. I simply adore Daniel and his gorgeous Scottish accent (thank you, Jan Cramer, you did a marvelous job with Daniel) and to have them end it this way, well I would be really disappointed! Listening to this book was marvelous and I'm right now sad that there are no more Kim Stone books to read/listen to for me and I hope book 5 soon will be released! I want to thank Bookouture for providing me with a free copy to listen to!